People with alcohol addiction in Kansas can achieve sobriety and regain independence by connecting to the right resources through these alcohol help hotlines. Call Delphi Health Group on the alcohol hotline (866)-520-2708 to speak with a representative who will provide alcohol counseling, treatment advice, and referral services. Calls to this alcohol helpline are toll-free, confidential, and available any day, any time, all year long. Services provided by the medical professionals of DHG are also usually covered by insurance. 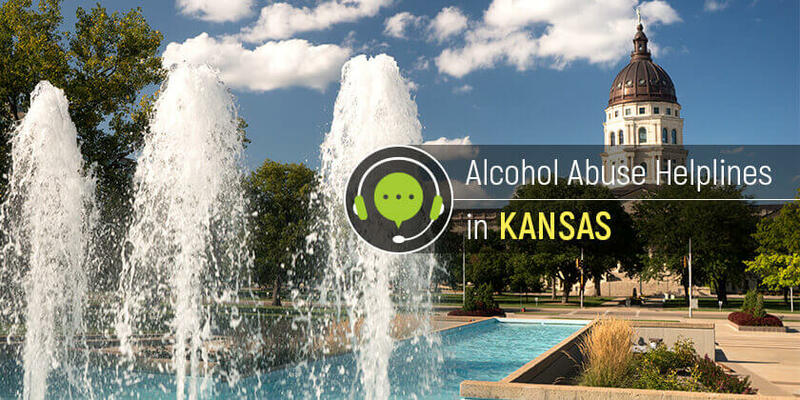 The Alcohol and Drug Abuse Helpline by the Kansas State Department of Children and Families connects callers to the resources and information on alcohol addiction treatment. The free alcohol hotline also provides referrals to state-approved treatment agencies in Kansas. Call the alcoholism helpline on 1-866-645-8216 to speak to an agent. The Substance Abuse and Mental Health Services Administration (SAMHSA) National Helpline 1-800-662-HELP (4357) offers callers information on and treatment referrals for alcohol addiction and other substance abuse disorders. Representatives are available 24/7 and calls can be made in English or Spanish. Kansas residents are a call away from help for alcohol addiction treatment. Dial any of these alcohol help hotlines to get connected to treatment resources.